Everyone knows that DJ Koze has prophetic qualities, and not just since he began dropping tracks under his guru pseudonym Swhaimi. You see, many years before, he also waxed oracular about the singer Dominique Dillon de Byington, aka Dillon: She sings comfortably imperfect and true. She has character. I like her. She has a bright future ahead of her. 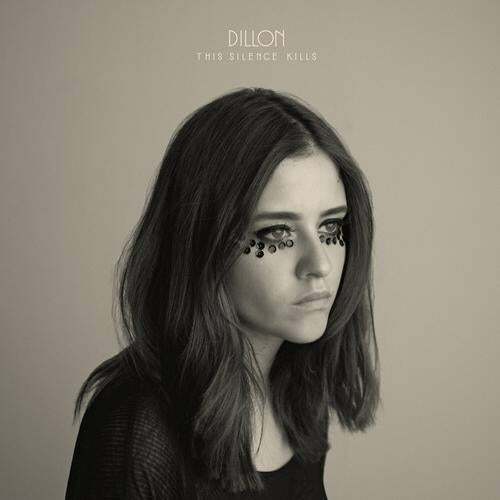 And that future once prophesied by the wise Hamburg resident about the young artist from Berlin is now, as Dillon has sat down at her piano many times during the past few years and written captivating, quiet songs that definitely should be heard extremely loud. But who is she really, this Dillon, who claims to only be able to truly relax when speeding down the autobahn? Once upon a time, she made a winding journey from Brazil to Cologne. There she recorded a couple enchanting DIY videos which show her singing her self-composed songs at her piano at home. After unabashedly posting the videos on YouTube for the world to see, all of a sudden lots and lots of people starting watching her, and overnight she became a closely-watched new female indie pop hopeful. Dillon stood on stage for the very first time in Cologne on June 27, 2007, armed with a keyboard, a microphone, and bunch of raw, uncut songs that she actually hadn't even finished composing. After a little less than 30 minutes, the techno/hip-hop/rave magic was over and Dillon had begun the journey down a path that allowed to her to turn her musical passion into the central focus of her life. Her individual and superior voice continues to form the center of her art form, and it loads her songs with unadorned states of mind that tell you that the person singing cant do anything else but express her emotions through music. Which is a natural quality that allowed Dillon to play numerous shows only one year after her live debut. With a keyboard and a megaphone under her arm, she crisscrossed Germany, wowing the crowd at the Melt! festival and also opening for Tocotronic. With her succinct, sometimes unfinished, and yet still charming performance, not only did she get to know a bunch of new friends all over the place, but she also got to know herself better and continuously developed her songwriting craft. Having had so much time to play live before going into the studio to record this record gave me the opportunity to really think about what I wanted every song to convey. It gave me the opportunity to expand my visions without any interruptions and let them ripen into what they are today, explains the 23-year-old today, examining both the past and at the present. After a digital single on Kitty-Yo, a collaboration with her friends from the Cologne pop-techno group Coma (Aiming for Destruction was a part of the BPitch Control Compilation Werkschau released in early 2011), and the vinyl single Ludwig on Combination Records, her debut album This Silence Kills is now finished, and it enriches BPitch Controls diverse catalog with another stylistic side which actually isnt really one at all. Thats because her songs hover somewhere between chansons, pop, techno, and digital chirps that never really decide where they are at home. And Dillons wide-ranging voice floats somewhere in the middle, as she tells stories of toothbrushes left behind, robots looking for a crystal, the architecture of Berlins train stations, and legs that turn into spaghetti. She wrote all her songs herself, and produced them with Thies Mynther and Tamer Fahri Özgönenc. Mynther is well known as one half of the mysterious duo Phantom/Ghost, and got to know Dillon when she played in the opening program of one of Mynthers shows. Özgönenc is a long-time, close soul mate of hers and is also musically active as part of the post-Krautrock collective MIT. Together with her partners in crime, Dillon spent a lot of time during the past bitterly cold winter in a studio in Hamburg, and arranged twelve moving, profound songs. She says this about their creation: Driven by a situation, a human being, or a word I would sit at the piano and try to verbalize what I was feeling. This never took longer than perhaps 20 minutes: the birth of a song. Turning them into what they are today took days, weeks, months, years. We started recording at Clouds Hill Recordings in Hamburg in November 2010 and finished in April 2011. Thies, Tamer, and I would get together once a month and work day and night for a week. Go home, breathe, let it sink in, feel it, taste it, then go back into the studio the next month and continue working on the material. During this process it was extremely important to me to not lose the rawness of my demos whilst at the same time capturing my musical evolution and interests. It was definitely one of the most emotionally draining and simultaneously rewarding experiences yet. Dealing with my thoughts day in and day out. Hearing my voice and trying to move forward without giving up on the past. A lot of blood, sweat and tears went into this record, literally. I am not sure I could have done it without Thies and Tamer, who understood my visions and my fears and were able to translate those into music with me. An emotional, artistic method of working, which resulted in an album that moves from sunshiny to cloudy and at times sinks into dark melancholy, then suddenly looks up to the bright sun and subsequently quickly dives back into a warm, yet fragile house full of colorfully wallpapered rooms. The fact that Dillon dreams of living a life driven purely on passion is evident in her songs with every tone, every rhythm, and every breathe of her voice. There hasnt been a newcomer to come straight from the heart with such beautifully fragile, emotive self-therapy in a long, long time. It makes sense that she says Billie Holiday, Jean-Michel Basquiat, and Jeff Buckley were sousrces of inspiration from the past. Because ultimately, the works of those deceased souls all stand out as a result of an authentic, articulated tragedy where the hope of a better tomorrow can be seen glimmering on the horizon, surrounded in fog. DJ Koze already noticed that Dillon also exhibited these qualities many years ago. And now its the rest of the worlds turn to hear this for themselves!